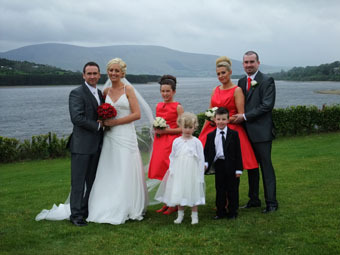 I had the pleasure of doing the wedding of Lia Reynolds & Conor Byrne on Saturday the 28th May 2011. I started at Lia’s house for a few minutes with the girls getting ready, there was great excitement all around. Dermot Byrne one of Dublin’s most professional wedding Photographer’s from Bray was also there, Dermot has a flair for fashion photography and his mix of the two lends him to do a wonderful job. The beautiful music in the church was by Astral String Quartet. We went to Clontarf Castle and what a lovely location, we were very well looked after and nothing was too much trouble for them. After the dinner the we were entertained by none other than Simon Casey a big band and wow they had the room rocking. I had the pleasure of being the Videographer for Gaisce to capture the historic visit of His Royal Highness, The Duke of Edinburgh. 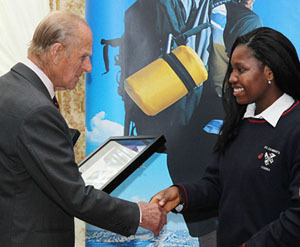 On the occasion of the visit of her Majesty Queen Elizabeth 11 to Ireland His Royal Highness, the Duke of Edinburgh met the Council, Staff, Supporters and Gaisce Award participants with their President’s Award Leaders (PALs) at a special reception in Farmleigh House in the Phoenix Park. This was a great day to be apart of. 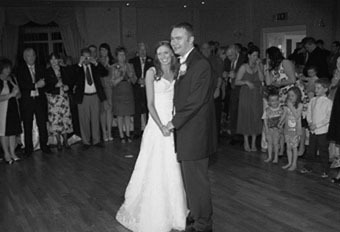 I had the pleasure of filming the wedding of Natasha Jordon & Paul Forrester on Friday the 6th of May. Everything ran well, we had a long drive from Natasha’s house to the church of St Bridget’s in the village of Manor Kilbride in Co. Wicklow, the priest Fr Padraig Mc Dermott was doing the mass and he is a pleasure to deal with. We had lovely music in the church provided by Joanna Charles it is always a pleasure to listen Joanna. When we arrived at the Avon Ri we had a lovely part of the hotel, this was a small family wedding and the room was just perfect, we then had some pictures taken with the Multi award winning Master Photographer John Smails we had them finished fairly fast as it started to rain. They had a band called the Hit Connection and they were really brilliant and they had them all dancing from the word go. I was out on the wedding of Beverley Tyrell & Stephen Blake on Saturday the 30th of April. The wedding started at Beverley’s house were all was calm, the pictures were been taken by Roslyn and Aidan, well worth a look if you are looking for a relaxed type of photographer. 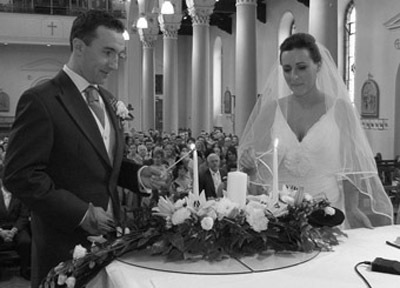 We then went to St Philomena’s Church in Palmerstown, it’s still lovely and the priest was superb and allowed us the extra space we needed to get what we wanted. We had lovely music in the church and in the hotel by Joanna Charles, everybody really enjoyed the music and it added to the atmosphere. It was then onto the Mullingar Park Hotel they are just great to deal with and made everyone feel welcome and nothing was too much trouble. The Band, The Big Kahuna were really brilliant and they had them dancing them from the word go. We were out at the wedding of Sandra Knott & Martin O’ Gara on Saturday the 23’rd of April, we started in Sandra’s House with the usual fuss and panic but all went great. We then went to St. Mobhi’s Church, Church of Ireland Weddings are lovely with plenty of singing and Rev David Oxley saying some lovely words. 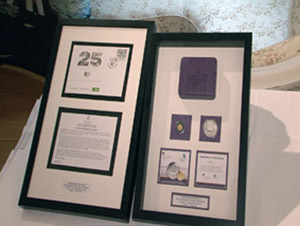 It was onto the Summerhill House Hotel which is well known for it’s attention to detail they pulled out all the stops for this couple. They had a great afternoon with Conor Buckley getting some amazing pictures. We all had a great day and they danced the night away to the brilliant music of the Black Nights. I was out on the wedding of Leonie Bowes & Michael Barry on Saturday the 16th of April, I started in Leonies House with the 4 bridesmaid there was no stress, Leonie was taking it all in her stride. 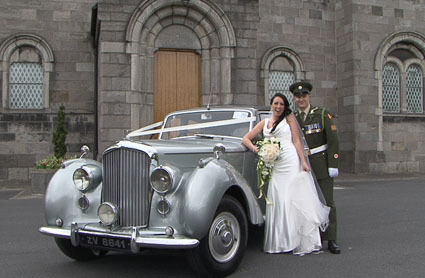 The groom is a member of the army, it was very fitting with the church and the grounds of Arbour Hill. It’s worth taking time to visit this church, a beautiful building. The army Chaplin David Tyndal had some nice words to say about Michael on his over seas duties. 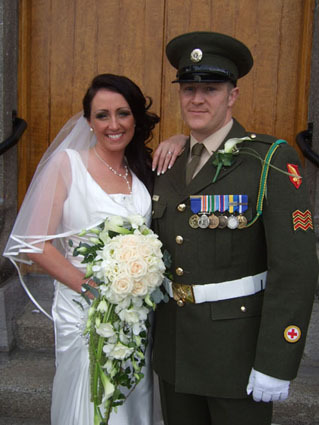 The groom was in army uniform and the bride was in a beautiful white wedding dress with the tricolour as the backdrop. 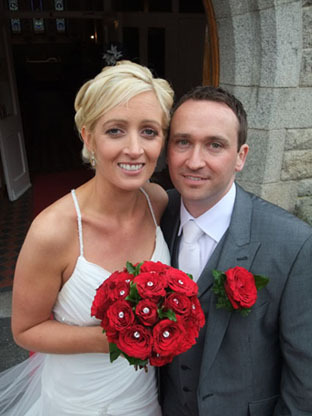 The reception was in the Castleknock Hotel and they pulled out all the stops for this couple. They had a great afternoon and evening. The couple’s son was pageboy and did an excellent job. I am sure his parents were very proud of him. We all had a great day and danced the night away to the fabulous music of the excellent Hard To Touch.